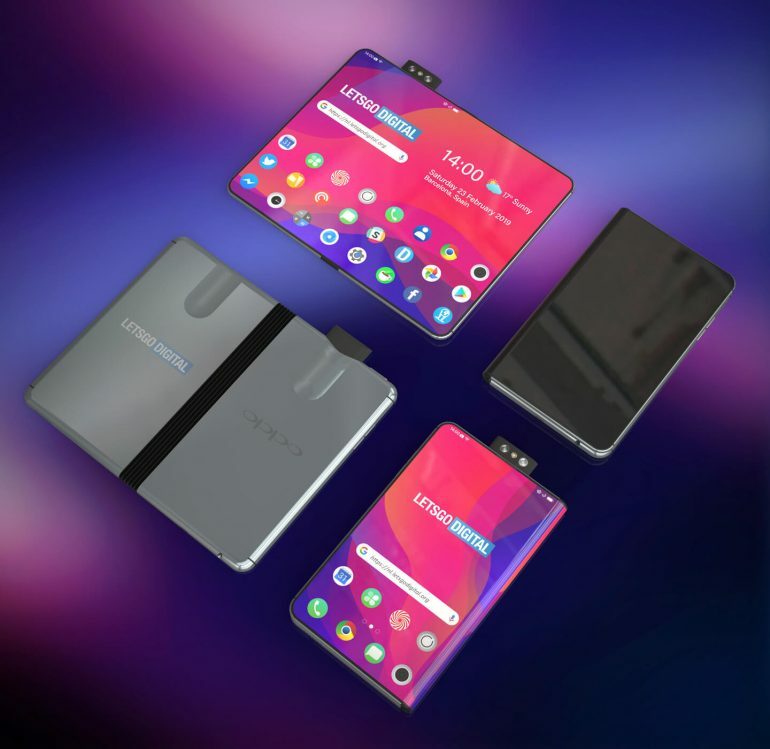 Lately we’ve been covering folding phones daily, so the trend has become really powerful. 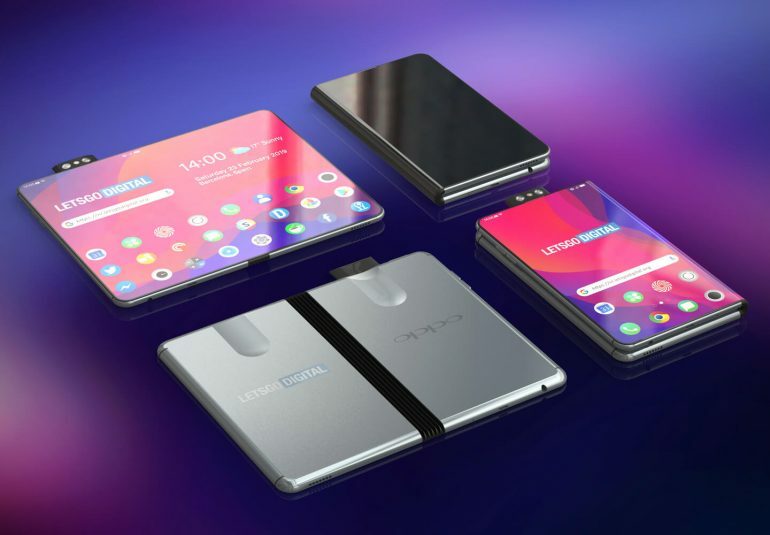 After Huawei, Apple and Samsung, it’s time for Oppo to shine in this area. 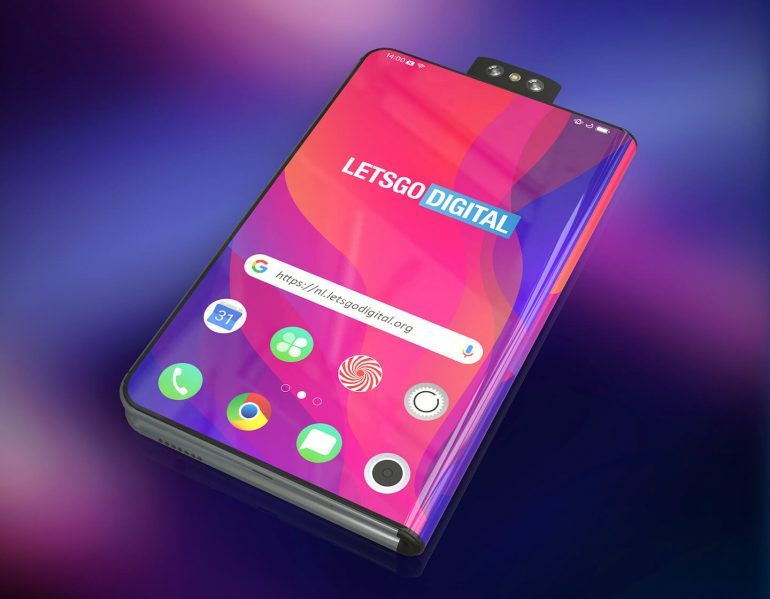 They’re doing it via the Oppo Folding Phone below, rendered by Letsgodigital.org. This device has a few extras compared to the other foldables, like the fact it has a “periscope” camera at the top side. 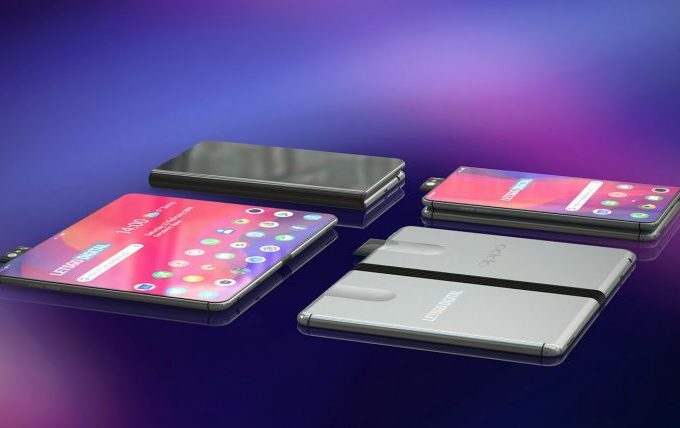 It’s a pop up mechanism like the Vivo NEX one and it holds two cameras and a flash. The device also leaves room at the back, a sort of slot for the device to slide in and out of, or at least that’s my perception of it. That same slot makes it look a bit like a whiskey flask. 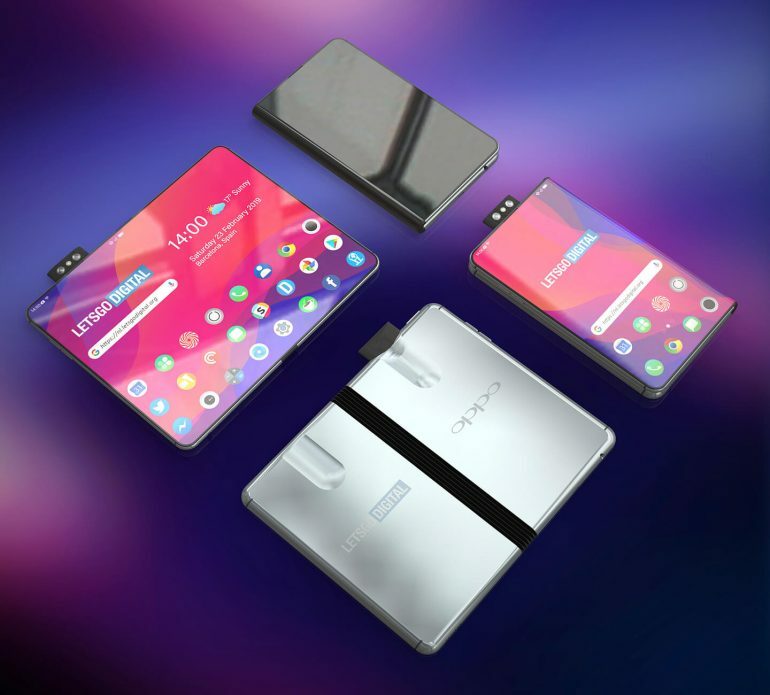 The Oppo foldable phone is a tad bulkier than the Huawei Mate X and the Galaxy Fold. That’s because each of its sections is beefed up. I don’t know if you’ve noticed, but Oppo has been innovating a lot lately, between the 10x lossless zoom, the Oppo Find X and the Super VOOC charging. They’ve really become a name to keep an eye on and they’ve made it to the top 5 phone makers for good reason. 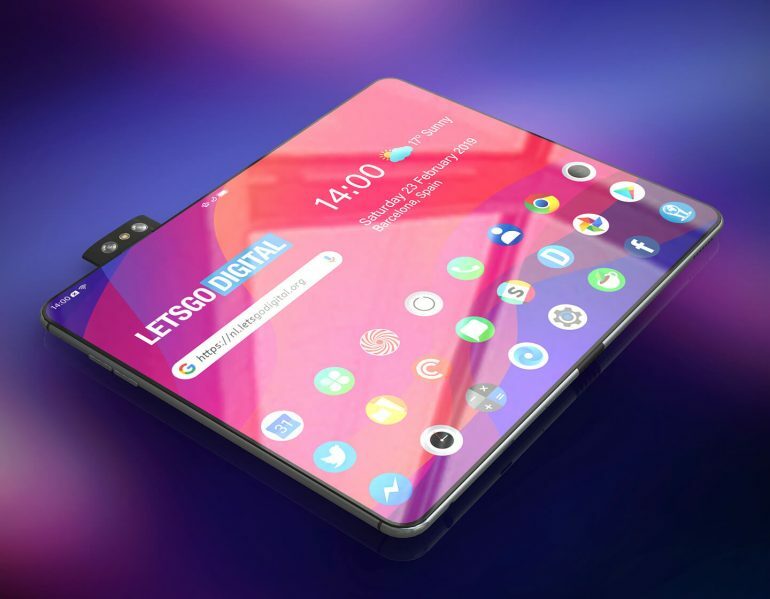 Also, this is one of those foldable phones, that uses just an outside screen, no inner one. There’s no notch and no complication, but also no back camera. The pop up camera seems to be the only one you get.